Let our team help! Schedule today for your free, in-home consultation! Get a straightforward, obligation-free quote for your new blinds and shades. Our blinds, shades, and drapes are all built to last for a very long time. 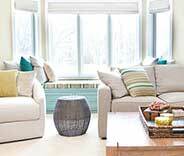 Enjoy your new window treatments for many years to come. With our versatile and customizable window coverings, your home and office windows will look fantastic. Blinds & Shade – New Collection Available! 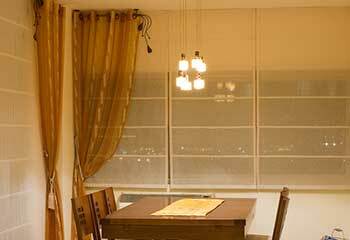 Take a look at some of our most popular window treatments! Apart from being excellent at light filtering, cellular shades also provide a layer of insulation that reduces heat transfer and thus saves you money in the long run. Learn more here. Your windows deserve proper treatment, and layered shades make for an excellent covering choice, especially considering how easy they are to adjust. Learn more here. Diffusing sunlight is very important, but so is being able to utilize natural lighting. Luckily, sheer window shades do both of these things, which is what makes them such a great choice for many rooms. Learn more here. The beautiful way flat and pleated Roman shades fold makes them a décor contribution that’s hard to pass up. Their room darkening and light filtering capabilities don’t hurt either. Roller shades could be called the baseline for window shades. They’re simple enough to be made from almost any kind of material and can be as simple or elaborate as you wish. Read more here. 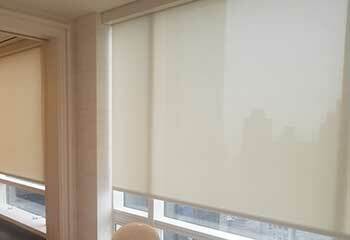 Motorized shades have all sorts of benefits to offer you. Automate your window treatments and control them remotely with a wall-switch, your smartphone, or even using voice commands. 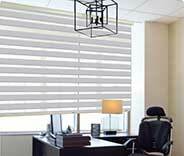 Our team has designed blinds and shades for all manner of businesses, offices, and other workplaces. Read this product page to get an idea of what’s available and how it can benefit you. You deserve the best, and so does your home or business! 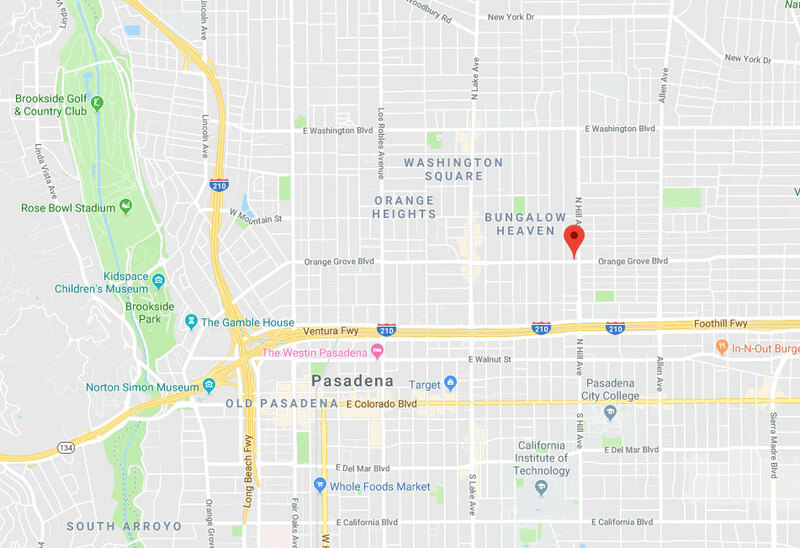 Make sure this is the case by going to Pasadena Blinds & Shades for your window covering needs if you live anywhere between San Marino and Altadena. Our professionals are here and happy to assist you to find the best fit for whatever your needs may be, whether you want something modern, classic and never out of style, or otherwise. Thanks to years of experience in the La Canada Flintridge area, you’re bound to be satisfied with the results in no time! The right looking blinds or shades can make or break a room, so ensure that yours will complement and enhance the overall aesthetic! Our professionals offer free consultation and color sampling so that finding the right fit will be a breeze. 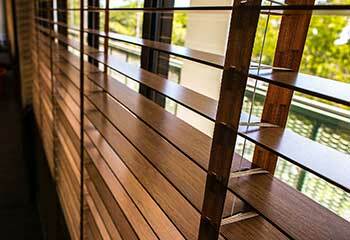 Want a natural look without the expense of real wood blinds? Faux wood blinds are affordable and nobody can tell the difference! Are you looking for shades that can help reduce outside noise as well as insulate your home better than any other style? Cellular shades are your best choice. All these ideas and more will come with our Alhambra experts who will be there to assist you every step of the way! There’s no longer any reason to struggle with annoying manual strings for blinds and shades when motorization removes the need for them! Now all you’ll need is a remote, wall pad, or even your smartphone to operate them with ease. They move quietly which makes them excellent for nurseries when you may need to quickly close blinds without fuss to let them sleep, and even when they’re older, kids won’t be able to mess with them and potentially harm themselves. You’ll be in complete control! Is your company in San Gabriel in need of new window coverings that match the aesthetic, or are simply affordable and functional? Our team is here to assist you right away with our fast service so you’ll be able to get back to business as usual in no time. It’s time to ensure your employees can work without glare and reduce energy spending all in one by getting the finest blinds or shades available for your building! Pasadena Blinds & Shades is here to take care of it all in no time. Have access to many of the best blind designs available today near you in Pasadena! Look at our latest projects here below for new ideas. This customer wanted blinds to match with the existing drapery in his living room. Find out more here. It was no problem for our company to help this customer find shades for his home. Learn more here. Our experts had no trouble assisting this customer to find new blinds. Discover more here. This customer wanted to simplify, so our team gave her a hand. Find out more here. I’m thrilled with my motorized shades! I can finally control the shades on those high up windows. It was a pleasure working with you. Thanks again! 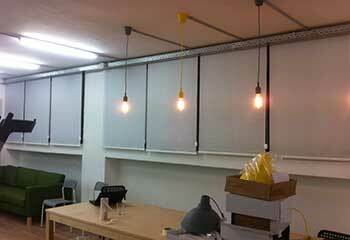 The new vinyl blinds you installed in our offices look very elegant. Thanks for showing us this cost effective way to have smart looking windows. I am so happy you custom fit bamboo shades for my windows, I’ve been wanting them forever. I’m very impressed with your service and prices. Our wide selection of window blinds and shades has something for everyone. You can count on our professional team to help you find exactly what you’re looking for when it comes to new window coverings! Whether it’s for your business, or at home, the vast selection offered ensures that you’ll have no issue finding the perfect fit for a fair price. To find out more about it, schedule an appointment online today! 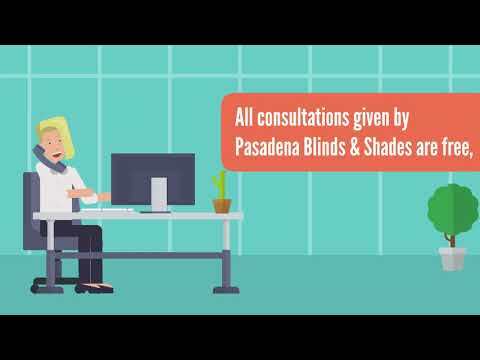 Thank you for choosing Pasadena Blinds & Shades! Feel free to browse our website for more useful information until our appointment!